Okay, so the headline is hyperbole, but Bloomberg Markets and Business Insider this week are reporting that New Jersey’s budget estimates might be off due to the move of one man—hedge fund manager David Tepper—from New Jersey to Florida. The decision by billionaire hedge-fund manager David Tepper to quit New Jersey for tax-friendly Florida could complicate estimates of how much tax money the struggling state will collect, the head of the Legislature’s nonpartisan research branch warned lawmakers. Tepper, 58, registered to vote in Florida in October, listing a Miami Beach condominium as his permanent address, and in December filed a court document declaring that he is now a resident of the state. On Jan. 1, he relocated his Appaloosa Management from New Jersey to Florida, which is free of personal-income and estate taxes. His move has state revenue officials on alert. New Jersey is known for its heavy tax burden on both individuals and businesses. It ranks last place overall on our 2016 State Business Tax Climate Index and is ahead of only California and New York when it comes to the individual income tax ranking. New Jersey’s top income tax bracket is 8.97 percent, which applies to all income over $500,000, making the state dependent on a relatively small number of taxpayers in the top income tax bracket. 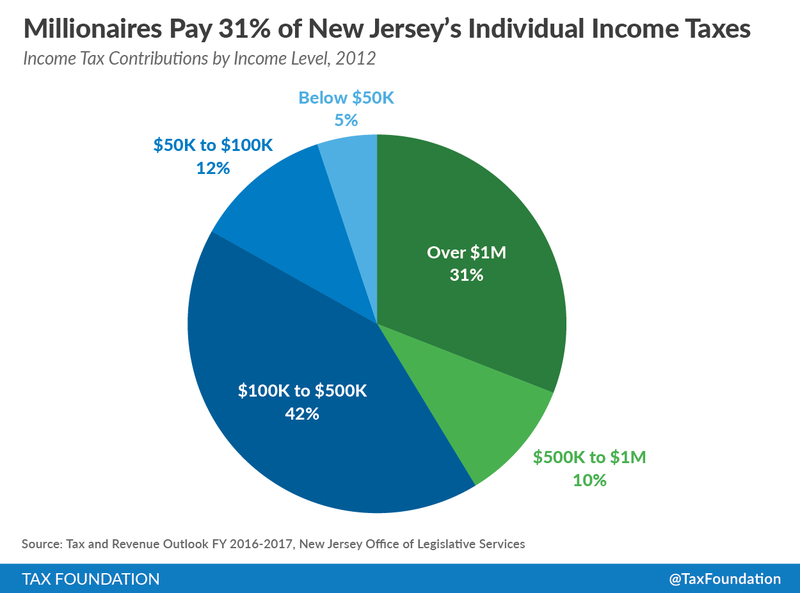 The New Jersey Office of Legislative Services reports each year how much is paid by different income groups into the state’s individual income tax and we’ve graphed it below (data on page A-22 here). Returns with income greater than $1 million accounted for 31 percent of all collections in 2012. Our personal income tax comprises about 40% of our revenue base, and relies on less than 1% of taxpayers for nearly one-third of that revenue…even small departures from our expectations for the income tax can make other problems seem small by comparison. A one percent forecasting error in the income tax estimate is worth $140 million. 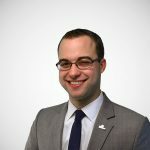 We may be facing an unusual degree of income tax forecast risk if news reports are true that the person ranked by Forbes Magazine as the wealthiest New Jersey resident has shifted personal and business domicile to another state. This goes without saying, but it is highly unusual for the departure of just one citizen to have this much of an impact on state revenues, and it is certainly a big downside of having such a progressive individual income tax.